A recent weekend get-a-way to Montreal had an unexpected side benefit, fabric shopping! 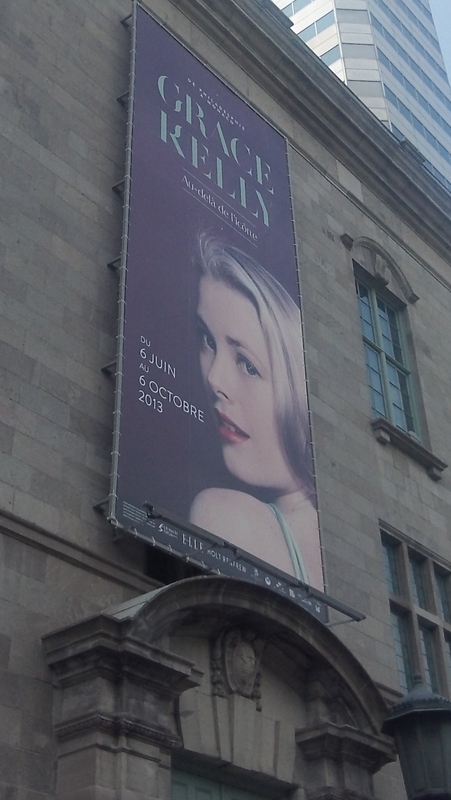 I had no idea what Montreal had to offer before we booked the trip, honest. 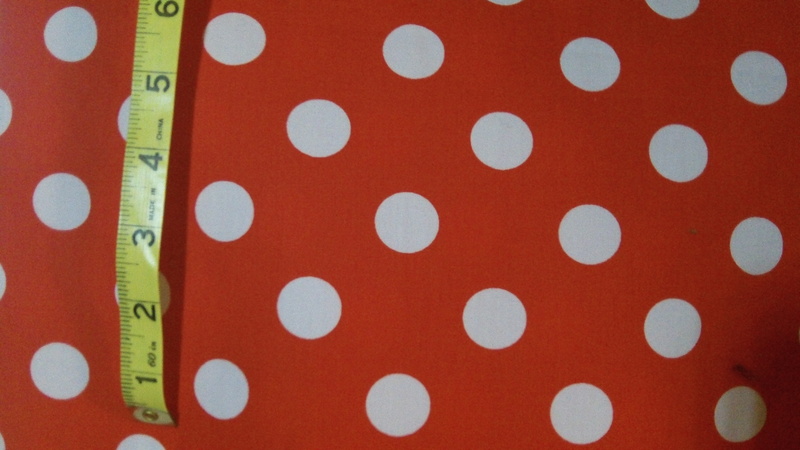 Of course I started researching, after all Toronto has some pretty great fabric stores, so maybe Montreal had a few. Doesn’t everyone check for fabric stores when they travel? Montreal is a lovely city, it was like a trip to Europe, without the jet lag. Our first day was spent wandering, but the next morning my husband found a bench and a book, while I visited the McCord Museum’s Grace Kelly exhibit. The traveling display was curated by the Victoria & Albert Museum, and features some her most significant fashion pieces. Anyone who enjoys vintage fashion would love this exhibit. Her style was so feminine and pretty. Seeing the beautiful clothes was certainly inspiration for the next morning’s excursion to the fabric stores of rue Saint-Hubert. I had a list of stores found on various web sites and blogs (which had very mixed reviews) and the hotel concierge provided great directions for the subway stations, but I really didn’t know what to expect. Having limited time and suitcase space was probably a good thing, as there are so many fabric stores concentrated in just a few blocks. 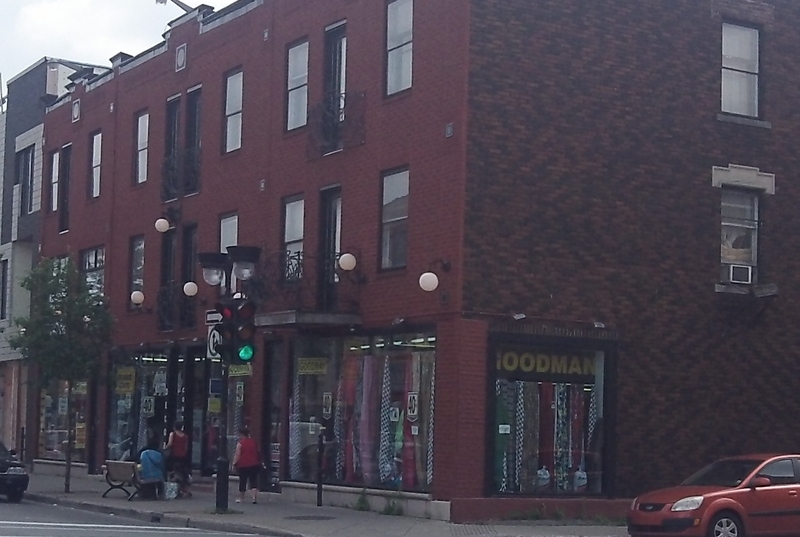 First up was Goodman-Carlyle, 7193 rue Saint-Hubert Jammed to the hilt with fabrics, it’s was almost visually overwhelming to the fabric store deprived eye. I relied on gut reaction and purchased two pieces. The first, a coat weight wool, which could make a great vintage style jacket. 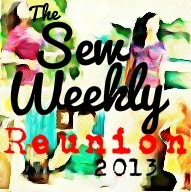 The second, a wool brocade I used for the Sew Weekly Reunion Pantone Challenge. Being selective and judging a book by it’s cover, onto the next store. 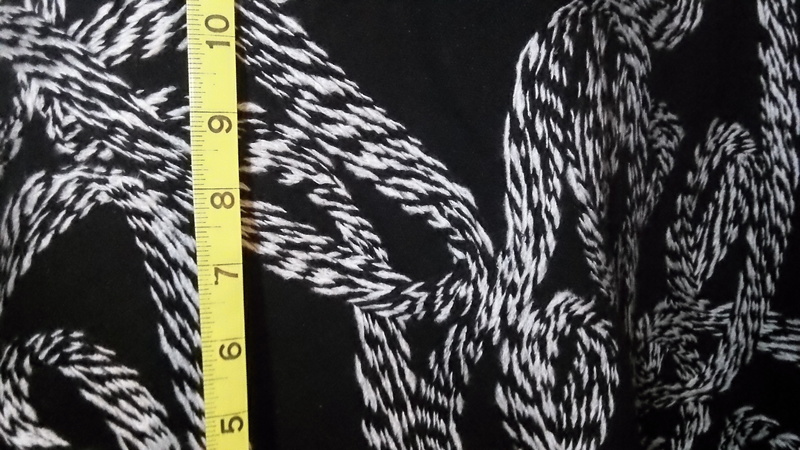 C & M Textiles actually has a web site and is a little more modern looking. The ladies there were so nice and enjoyed chatting about what they sewed in their younger days. 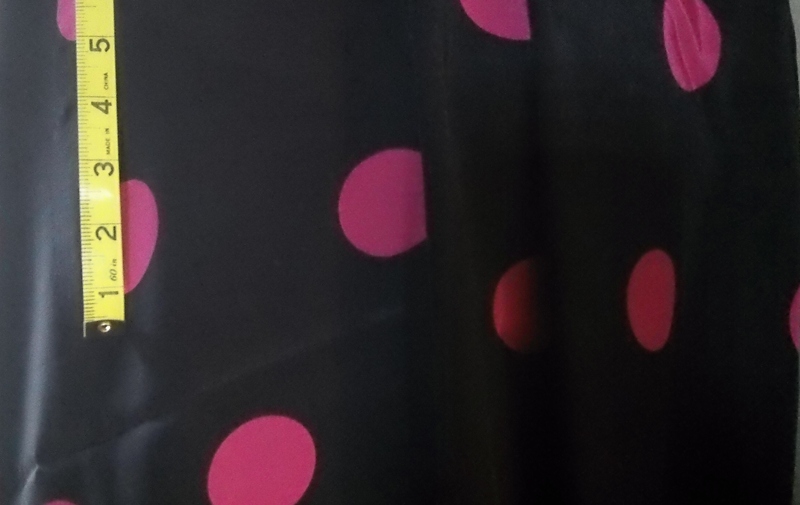 Net result, impulse purchase of 3 fabrics, two are polka dot, a navy and pink synthetic and a red and white cotton. Both will likely end up as dresses. I’m a little worried about comparisons to Minnie Mouse, but we’ll see. 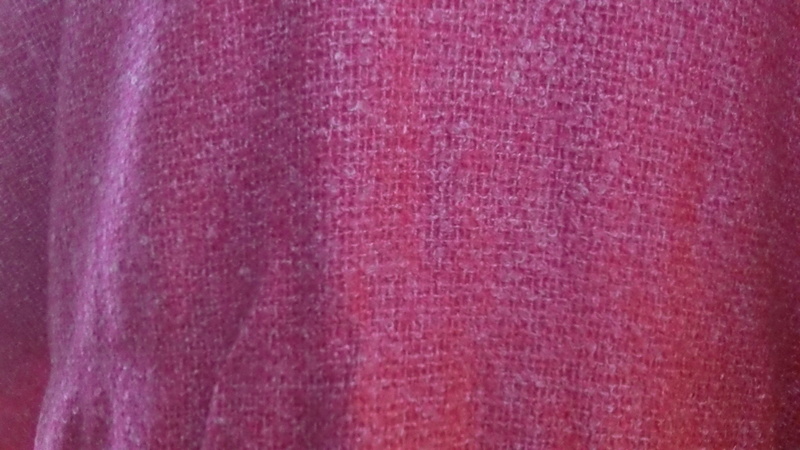 The third is a pink wool/acrylic blend boucle, which is destined to be a jacket and will coordinate with some fabric I bought in Toronto the previous summer. 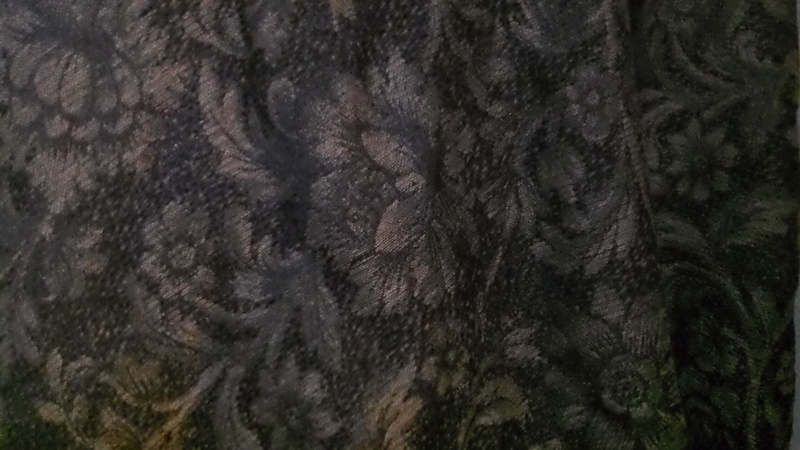 At this point, the size of my suitcase was a concern, but through an open door I spot one last fabric I had to have. 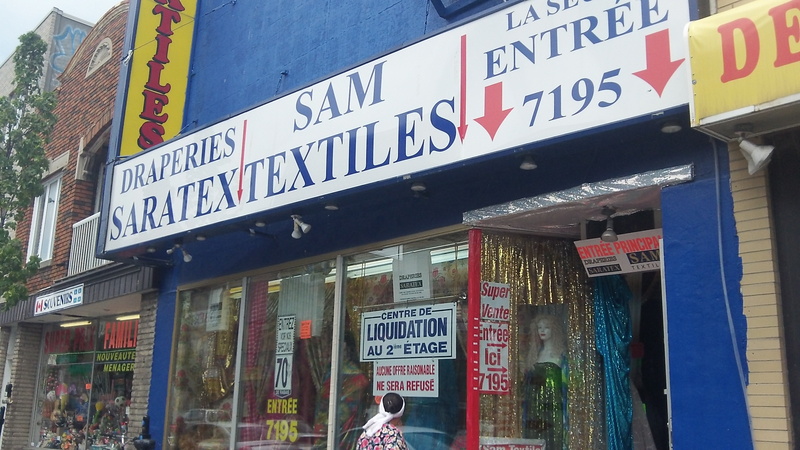 It was at Sam’s Textiles, 7195 rue Saint Hubert. 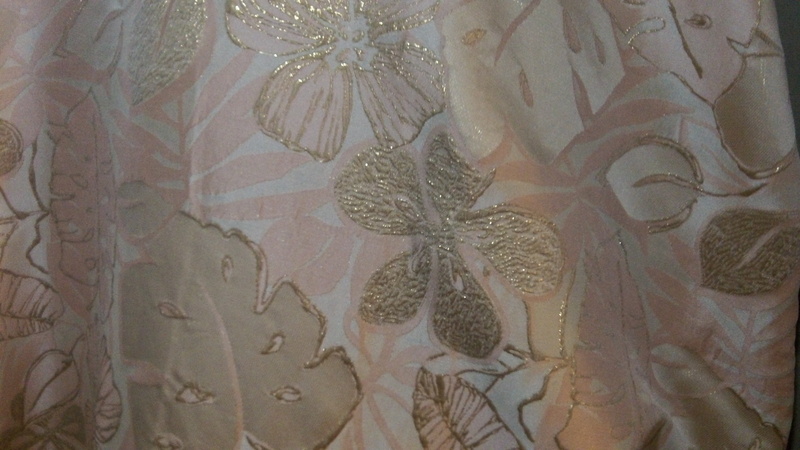 The pink, ivory and gold brocade was beckoning me to buy just enough for a sleeveless sheath and I was done. I couldn’t carry anymore. The next day I had to go to one last place I found online. 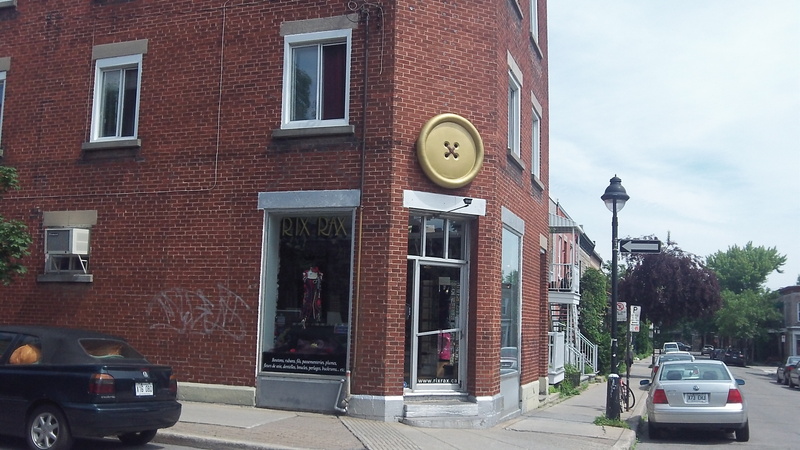 Rix Rax, in another part of the city, is the cutest little store filled with buttons, buckles, laces, trims and silk flowers. It was a little hard to find, no concierge that morning to help me navigate the subway exits. The choices were overwhelming. If I ever visit there again, I’ll go with a list. I’m glad you found some good fabrics. 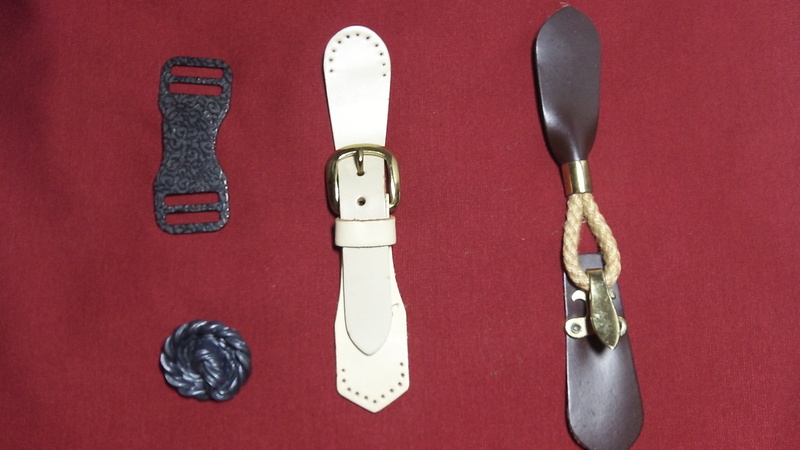 Did you have a chance to visit the manufactures on St-Laurent and Chabanel? They have amazing deals! I read about St-Laurent and Chabanel, it sounded amazing. I had very little time for shopping on this trip, maybe if I get back there sometime. Any specific recommendations?